New Print! 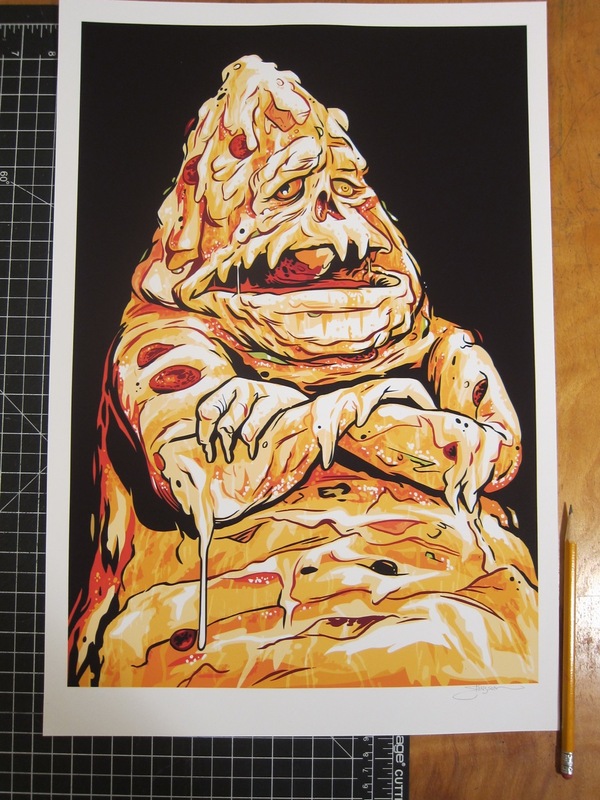 - Pizza The Hutt, 13x19"
I just finished a new portrait of one of my favorite heaps, Pizza The Hutt. 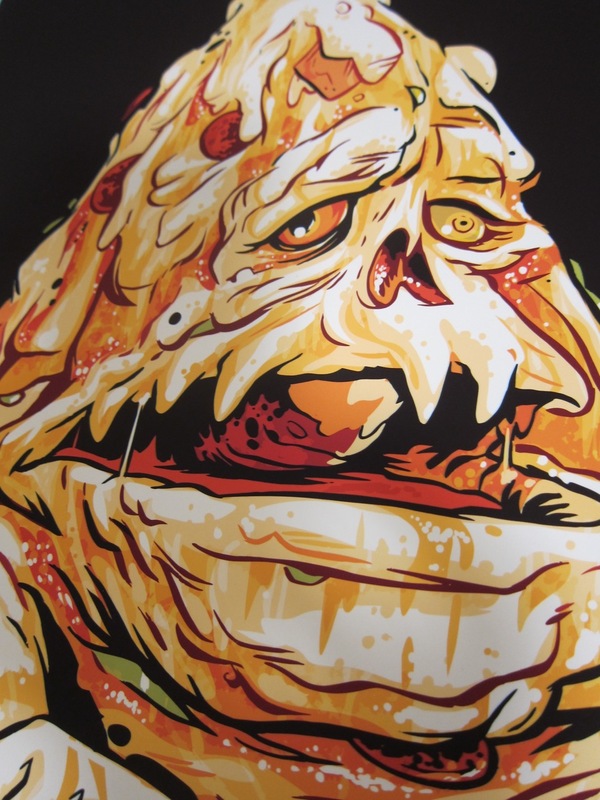 You might remember "Pizza" as the gross loan shark from the film "Spaceballs". For some reason, that character has been stuck in my head lately. So, for me,this drawing was both an exercise and and exorcism. As it turns out, I like drawing things made out of other things, so this will probably not be last heap. Below are some bits of process from the making of the drawing. I always start on paper with pencils and/or pens. I then move onto the computer with color in Adobe Illustrator. 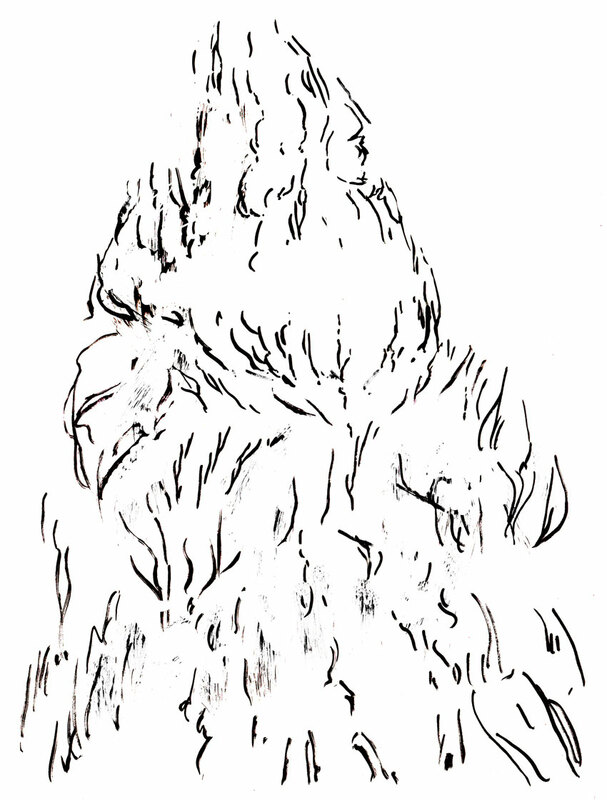 Then, I bounce back and forth between computer and paper for textures. Everything ends up getting polished of in Photoshop. "Pizza's gonna send out for YOU!" 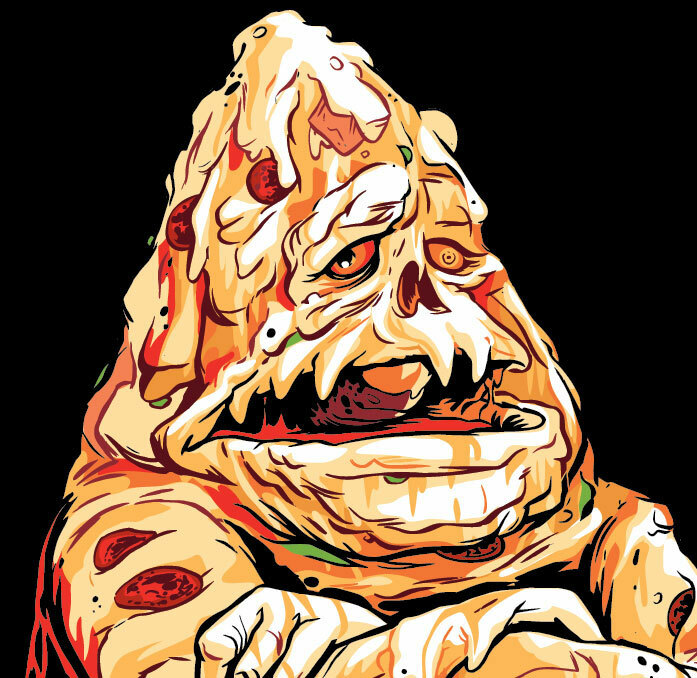 Now you can hang out with your favorite space villain whenever you want and it won't cost you a million spacebucks, either. This print is delivered fresh, signed and rolled in a tube right to your door via USPS. Shipping is included. You won't even have to tip the guy!